This product is used to blow off the metal chips left inside the parts, external surfaces, machine tools or operating platforms as well as dusts and other foreign substances. It is especially suitable for the occasions of machining and assembly. .This product is advanced in technology and reasonable in design. It has comfortable hold feel and easy operation. 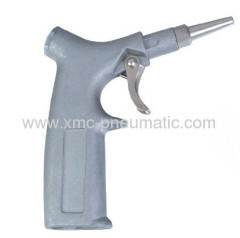 .The gun are die-cast by aluminum alloy and are very light. .Made of aluminum alloy and formed through die-casting, the gun is quiet light. 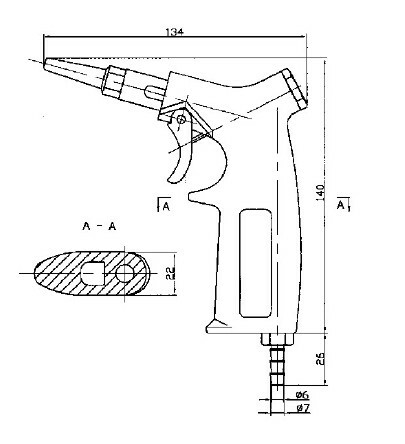 The air nozzle is made of copper alloy, which males the gun stronger and more durable than those made of other materials.